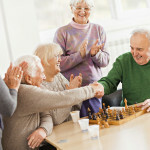 US News: 5 Traits of the Worst Nursing Homes – Familiar? Read the full article on the US News website. Beware of for-profit nursing homes, the administrators receive daily bonuses for ‘beds filled’, while the certified nurse assistant and licensed practical nurse are left to do the work!! Investigate turnover rates among staff (the bedside staff) – this will be a good indicator of whether or not it is a good place to work and a decent place for your loved one to stay!! Ask several staff how long they have worked at the facility before placing anyone you love in their care!! CMS Compliance Group, Inc. is a regulatory compliance consulting firm with extensive experience servicing the post-acute/ long term care industry. With the idea of continuous quality improvement in mind, CMSCG's interdisciplinary team ensures that all departments can achieve and maintain compliance while improving quality of care. Sign up for communications from CMSCG.